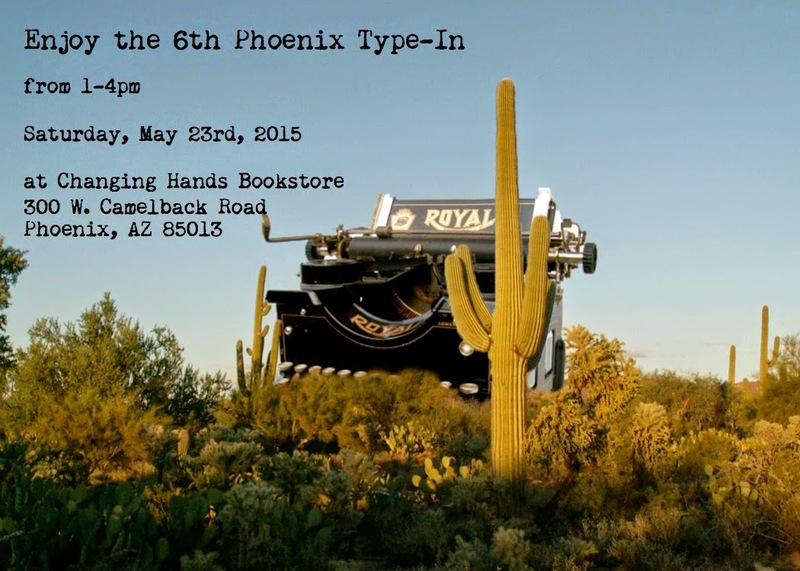 If you were looking to gather with some like-minded typewriter lovers this weekend, you are in luck because the 6th Phoenix Type-In is happening this weekend at First Draft in Changing Hands. From 1-4 you can get a chance to meet typewriter collectors from across the valley, have a refreshing drink from First Draft, possibly win a typewriter, and see some great machines. A typewriter clinic with Bill Wahl from the Mesa Typewriter Exchange. Bill will be on-hand to give his professional opinion about your typewriter. Jake Fischer, the typewriter wunderkind, will be holding a speed typing competition which may include fabulous prizes. A special exhibit of The Typewriters of Mad Men. You can see, in person IBM Selectrics and a small collection of typewriters featured on the show. A chance to win a typewriter. Just put your First Draft receipt in the box and you can win one of three fantastic, beautiful, mid-century typewriters. Please come out! You'll have a lot of fun. I hope everyone has a great time at the Type-In.